It's not often that I post on a Wednesday, but God has a funny way of timing things. Today, on the first day of Lent, I am writing my 100th post. When I started this blog August 7, 2008, I really wasn't sure what God wanted me to do. I just felt like He wanted me to start writing. I thought that He wanted me to add to the online Catholic community to help people spend more time with God. Little did I know that He sent me here to learn from all of you. So this 100th post is my thank you to all of you that have stopped by here to read my posts, to encourage me, and to make me smile. You have taught me what true Faith looks like, what God's community feels like, and what real prayer sounds like. Through your blogs, your comments, your knowledge, and your prayers, you have helped me grow closer to God. And as I have said before, for that I am eternally grateful. I pray that you all have a very Blessed Lenten season as we prepare for the coming of our Savior. P.S. You are probably looking at the title to this post and wondering what that equation means. Well, the 100 is because this is my 100th post. Lent starts today for 40 days. Those two added together obviously equal 140 ... which just so happens to be the number of characters Twitter gives you to say whats on your mind. So, one of my Lenten commitments is going to be to praise God via Tweets as often as I can during Lent. Not a Twitter fan? You can follow my tweets in the upper right corner of my blog. Have a twitter account? Why don't you join me and help me fill the Twitter-sphere with praise!? Congratulations on your 100th post. And I agree- I too have learned more from the people who's blogs I have been blessed to read. Your posts keep getting better and better too, no sign of a letdown! And a great one to begin Lent with, nice serendipity with the math! God bless and a fruitful Lent to you. We are all a gift to each other. No matter who we are or what we do; God created us to be a gift to each other, by our presence, by what we say, and how we live our lives. Your contribution to the rest of us is your presence here in Blog World, or on Twitter or indeed in the real world. God does indeed work in funny ways, I wrote my 100th post this morning also. Since beginning my blog I've discovered that there is so much more I can learn from all of you than I can give. Your inspiring posts here have been so wonderful. Thank you for helping me grow closer to God! The blogging community is a great way to interact with other Catholics, and I'm happy that you're one of them. Keep on blogging! Karinann, Christopher, Victor, Sadie, Shirley and Carol - thank you for the kind words and inspiration. I'm very lucky to be part of your community. 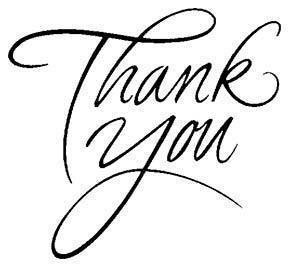 Thank you for visiting my Blog and commenting there; and in so doing you've helped a charity. Please encourage your family and friends to do the same. I always enjoy reading your blog. Your posts are so uplifting. DG- thank you for the nice comment. You know I enjoy your blog as well! Great idea - tweeting for God! 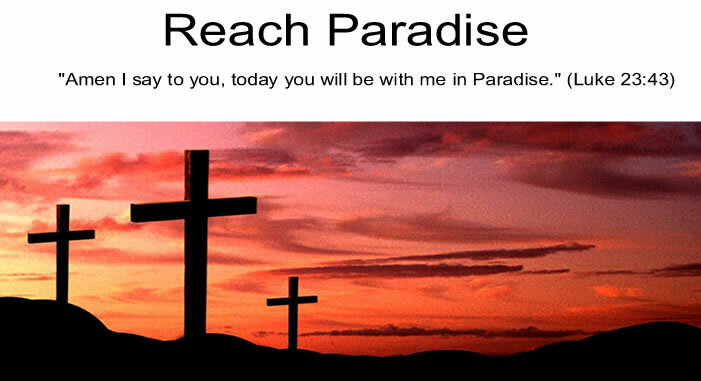 I put Reach Paradise on the bloglist "Utterly Thine". At some point I'd like to transfer it all to a regular website and separate the blogs and websites into categories. That's my goal at least, God willing :) If you know of any other blogs or sites that touch your heart please let me know. The more sites for Jesus the better. I used to have the domain name heavenlyhand.com but I missed a payment 1 year and someone else snagged it. How I wish I had it now!